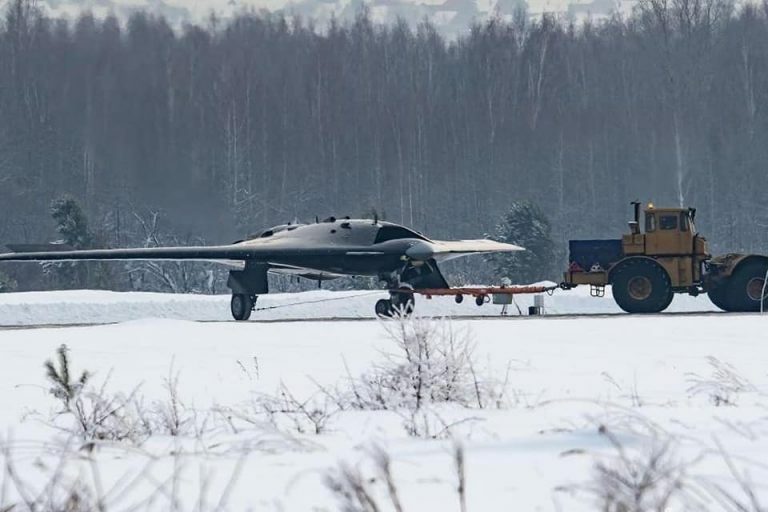 A new Russian stealthy Hunter, unmanned combat air vehicle (UCAV) has been spotted in the Siberian city of Novosibirsk. At the facility of the Novosibirsk Aircraft Production Association (NAPO) plant were spotted Russian advanced strike aircraft. 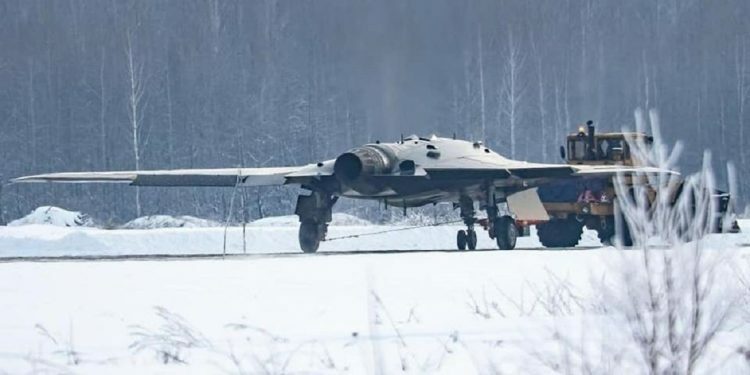 A new, stealthy unmanned strike aircraft now undergoing runway testing at NAPO in Novosibirsk. The craft itself looks fairly impressive and substantial in size with a hardy landing gear that looks similar to those used on modern Russian tactical jet designs. The configuration appears to be loosely similar to something between Northrop Grumman’s X-47B and Boeing’s X-45C Phantom Ray, as well as other international UCAV designs. Its dimensions appear to be loosely analogous to Northrop Grumman’s X-47B, if not larger in terms of wingspan as it doesn’t appear to feature the X-47B’s ‘cranked kite’ planform. The X-47B was roughly 38 feet long with a 62 foot wingspan. 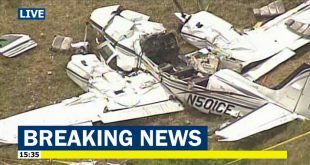 The aircraft is powered by a full-sized fighter jet engine that could potentially include afterburning capability based on the nozzle installation. This would be helpful for taking off at high gross weights, but beyond that, it would have questionable utility. The engine being used is unknown, but the Saturn AL-31F series used by the Flanker family of aircraft would be a logical choice. It is possible that a derivative of the more powerful AL-41F that is still somewhat in development could be used in the future, which may eliminate the need for an afterburner. Russian state media stated that a contract on developing the stealthy unmanned strike aircraft Okhotnik weighing 20 tonnes was signed between Russia’s Defense Ministry and the Sukhoi Aircraft Company in 2011. “The work on the heavy long-range unmanned aerial vehicle is at the concluding stage. In particular, work has been completed to create a prototype that will begin test flights this year,” the TASS reported. “The work is being carried out at the Novosibirsk-based Chkalov Aviation Plant (part of the Sukhoi Aircraft Company),” the source added. The new Russian Okhotnik stealthy unmanned strike aircraft has a “flying wing” shape, making it similar to the American RQ-170 stealth reconnaissance drone or Chinese Tian Ying.